A strong and durable railing not only provides your porch or balcony the much-needed safety, it surely can give your space a spunky new look. Well, you have several railing designs to choose from depending upon your personal style and taste preference. 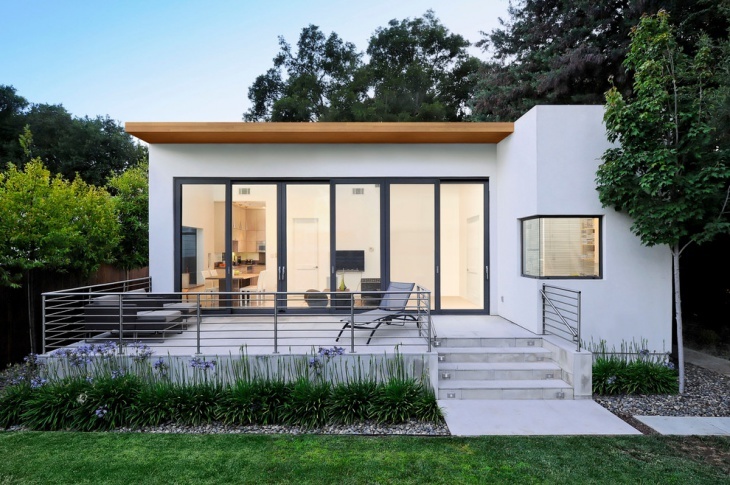 You could also sync with your very own architectural style of your house. 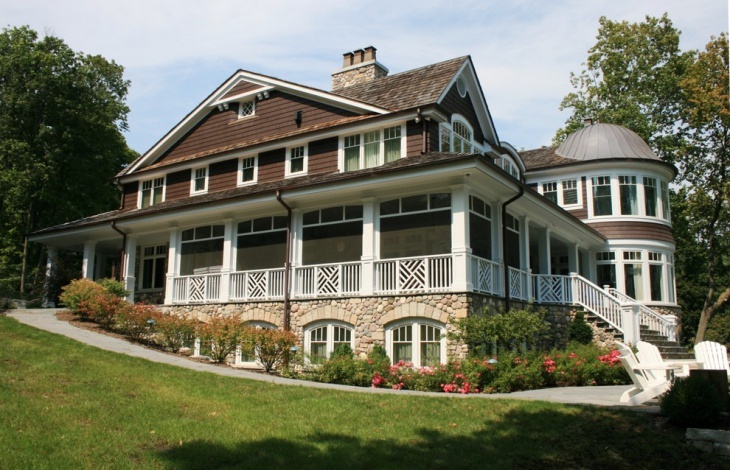 Choose the perfect railings for the exterior of your home from the below collection of exterior railing designs. 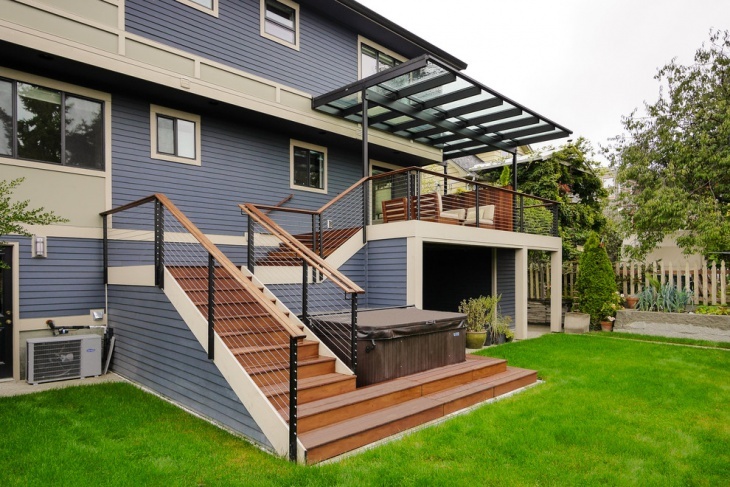 This is a modern exterior railing design combined with a mid century traditional design. It makes use of a luxurious panel fencing which is in a lovely dark wooden brown color and complements the interiors and lights well. The lighting is of a yellowish hue, so it goes well with the railing. 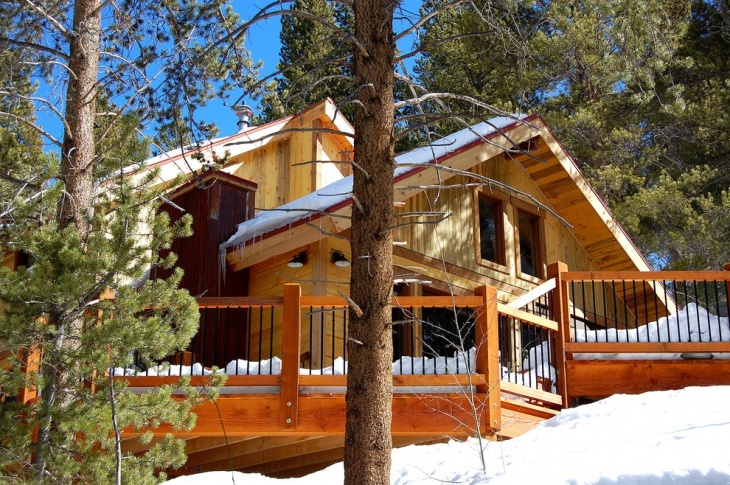 This is a wooden exterior railing in a rustic style which has been built in a house situated in a rocky mountain region. The rails are in black with wooden borders and corrugated steel sliding and metal in the railing. It is a farmhouse inspired house located on the outskirts. 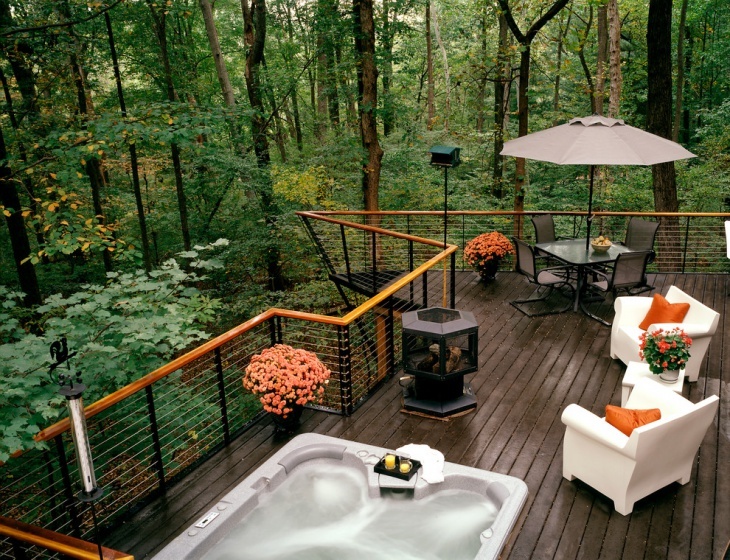 This beautiful deck built in the woods amidst the lush greenery has a wooden hand railing which is horizontal; the railing is made of metal. The deck also features outdoor lounge chairs for relaxation and is beautifully designed. All in all, the railing design is highly functional. This is a large house with the traditional European Mediterranean exteriors. It features wrought iron stair railing. The design is very beautiful and the railing is done in the color black. 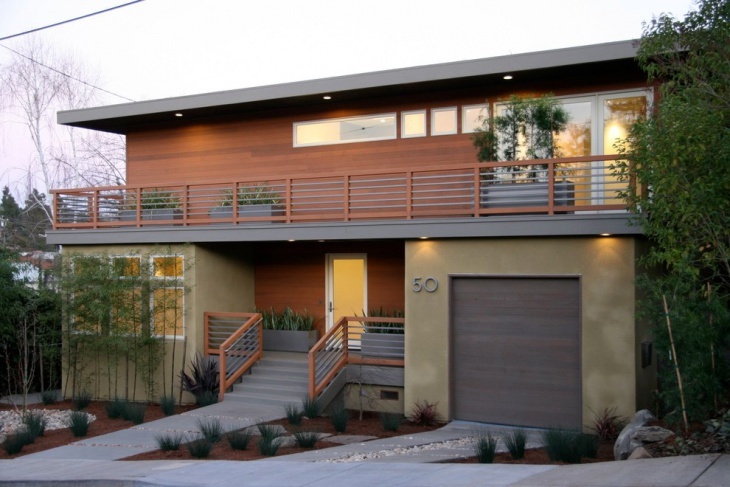 It also coordinates well with the other exterior elements of the house. 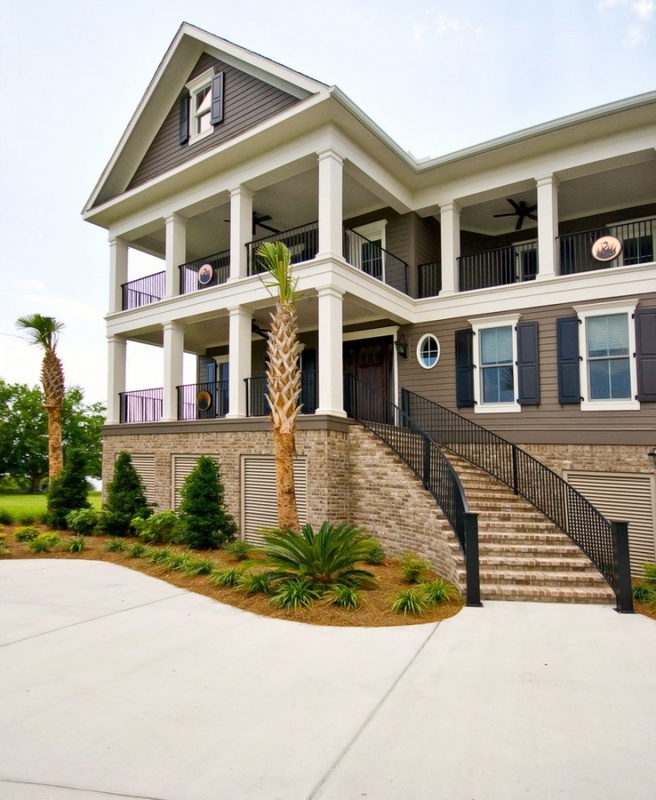 This is a traditional deck in which the exterior staircase in black connects with the master bedroom above. 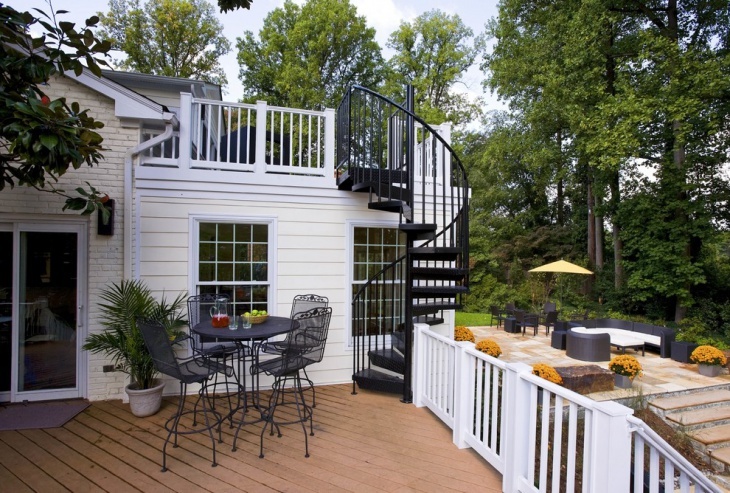 It is a spiral staircase with a vertical railing and complements the white painted deck. It also features a mini black round table with chairs that match the color of the staircase. This is a contemporary exterior in a brick brown shade and features railing in the top floor in the balcony and also the entrance. The entrance on the ground floor also has the same color and design railing. The balcony railing design is exquisite with the use of unusual colors. 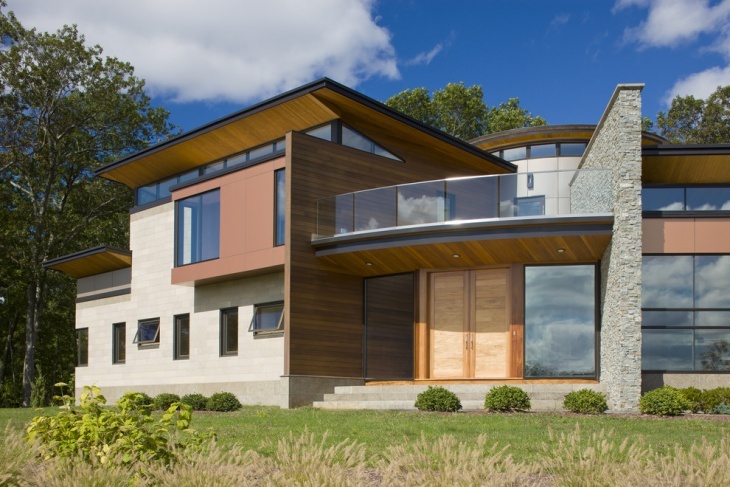 This is a traditionally designed house with vintage architecture; the exterior railing is also done in a traditional style. 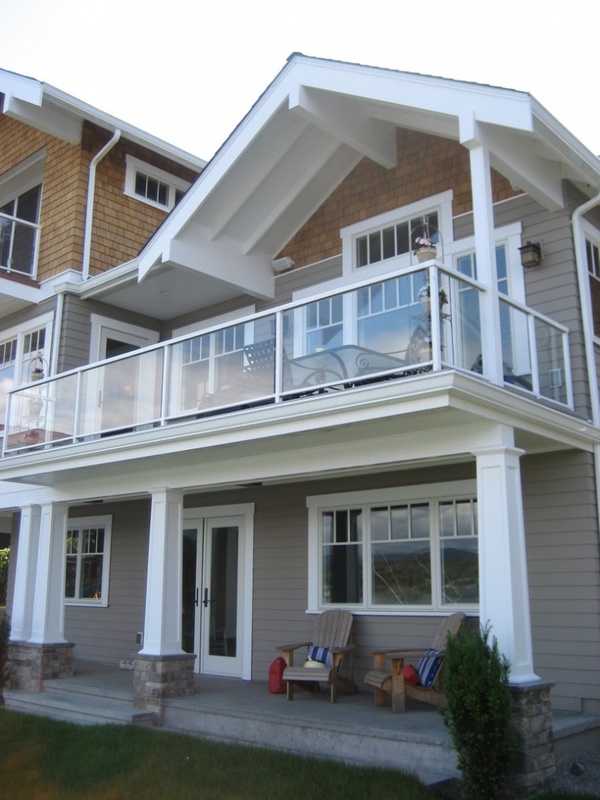 Solid wood railing components are used to build the exterior railing. 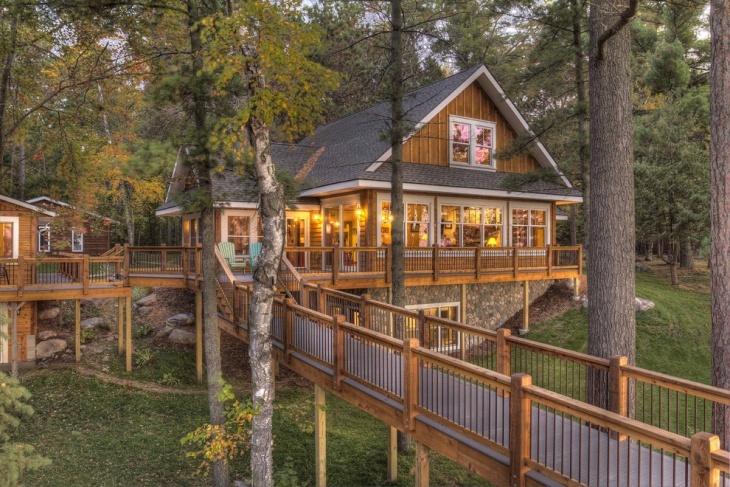 The railing style is called ‘Gooseneck’. This is a vintage exterior railing idea with an iron stair, a concrete driveway and black shutters. 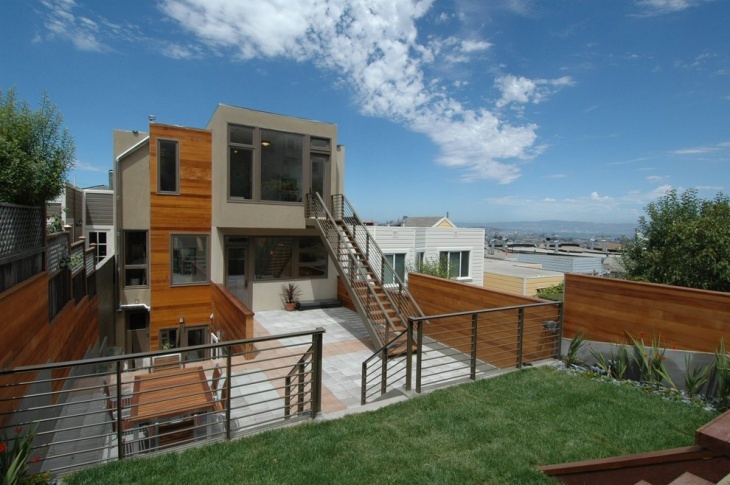 The stairs feature a black exterior railing which matches the top floor exterior window trim. The layout and plan of the house is beautiful and unique. 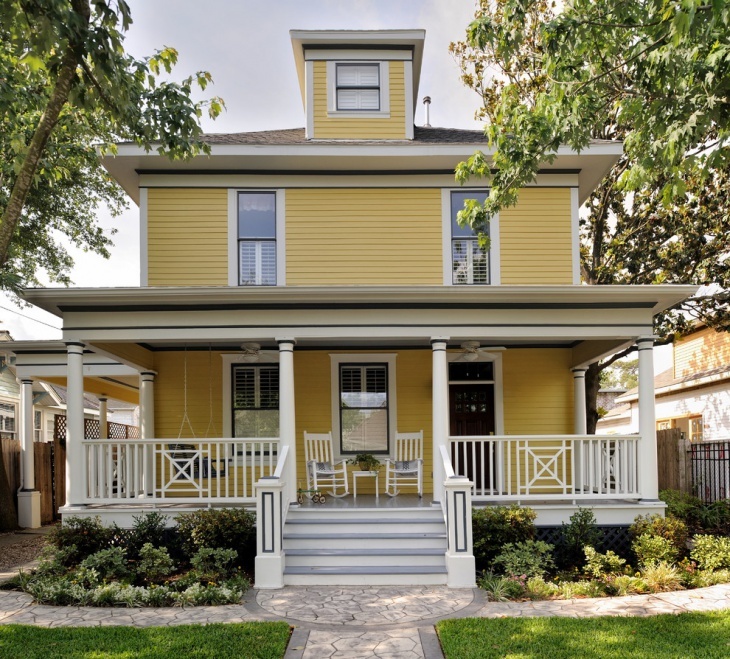 This is a contemporary exterior railing of a porch in white with a combination of yellow molding. The porch features white chairs and the building is also painted in white and it matches the exterior railing. It has a vertical pattern with square and geometric shapes combined. 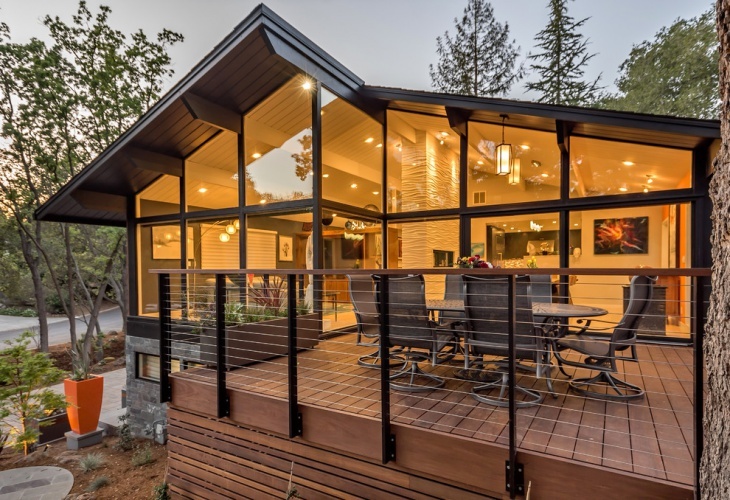 Exterior railing designs vary from house to house and the design has to be selected carefully depending upon what matches a particular house and its architecture. 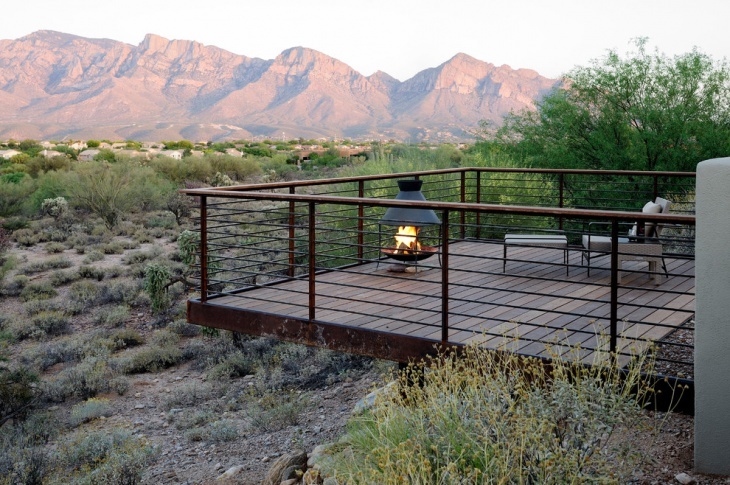 You can take ideas from the above exterior railing designs.